Visiting Cappadocia in Turkey is like going to another planet. Hundreds of volcanic rock formations look like fairy houses. Tall columns are topped with domed roofs. Some of the formations go straight up, resembling chimneys. People have lived in Cappadocia for thousands of years. Greeks and Romans invaded this country, but the Cappadocians survived. Many were early Christians who spread the gospel. They built underground cities to hide from invaders. They built traps in their underground cities. Large boulders hid doors. They built holes in the ceilings to drop spears on their enemies. They made small passageways through their cities. Cappadocia is near the city of Nevşehir in southeast of Ankara, the capital of Turkey. You can see here Hundreds of volcanic rock formations look like fairy houses. 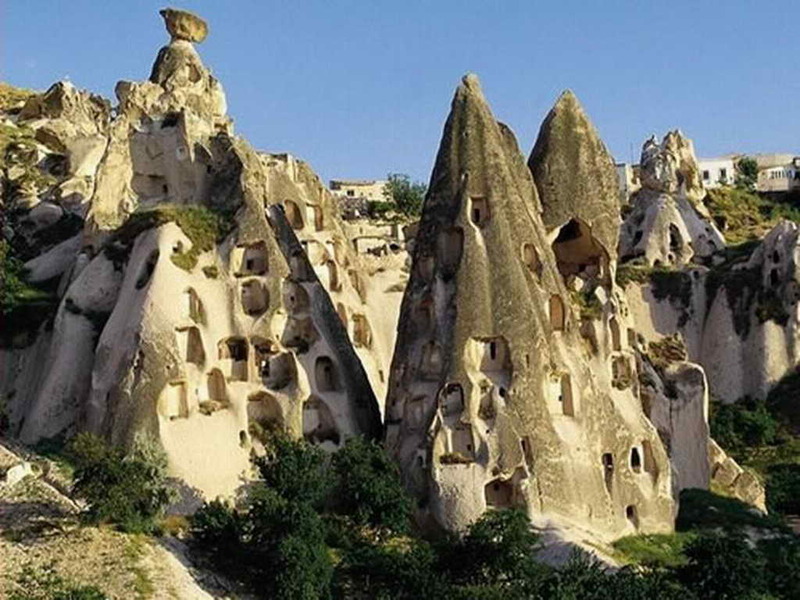 Know more interesting facts all about Cappadocia below. Today you can see houses, churches and temples, cut into the rocks. Even regular houses are made out of rock. It is hot in the summer here and cold during the winter. The ancient people had homes above ground. Each home was connected to the underground city by a tunnel. If invaders came, the people hurried through the tunnels to hide underground. 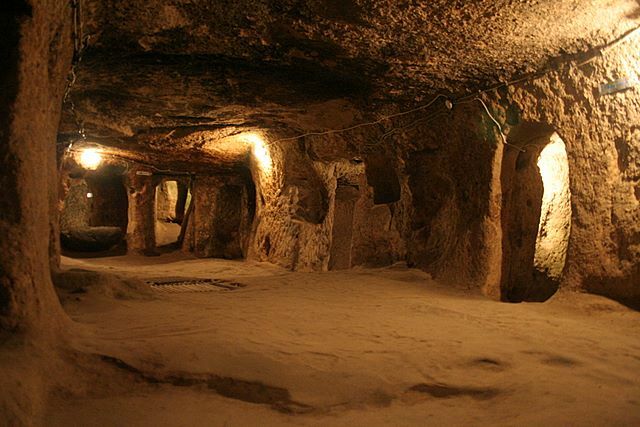 The underground cities had everything needed to live, including pipes for fresh air, toilets, rooms to store food and wine and even places to keep animals. 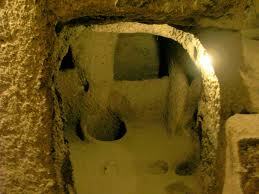 Thousands of years ago, cappadocia people built underground cities to hide from invaders. A video trip to Cappadocia, a rocky landscape created by 3 volcanoes. Question: How long have people lived here? Answer: The Hittites first settled here about 3,800 years ago. Question: When did people build the underground cities? Answer: Early Christians began building the cities 400 years after Christ’s death because the Romans persecuted them. Enjoyed the Easy Science for Kids Website all about Cappadocia info? Take the FREE & fun all about Cappadocia quiz and download FREE Cappadocia worksheet for kids. For lengthy info click here. Declan, Tobin. " Cappadocia Facts For Kids ." Easy Science for Kids, Apr 2019. Web. 26 Apr 2019. < https://easyscienceforkids.com/all-about-cappadocia/ >.